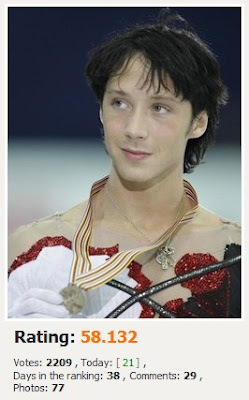 The Best of Binky's Johnny Weir Blog: "I Would Be So Happy and Excited to Meet Johnny Weir"
OK, well, this blog would have been posted much earlier except that I got bogged down in some hilarious Johnny goodness that caused me to basically allow my armload of pics and vids to slide forgotten to the floor while I enjoyed, in open-mouthed wonder, a clip that is an absolutely perfect antidote to all the taking-ourselves-very-very-seriously-activist-bullsh*t that’s been stuck to the bottom of our shoes lately.  DO NOT CHEAT and scroll to the bottom of this post to see this delightful diversion. DO NOT. 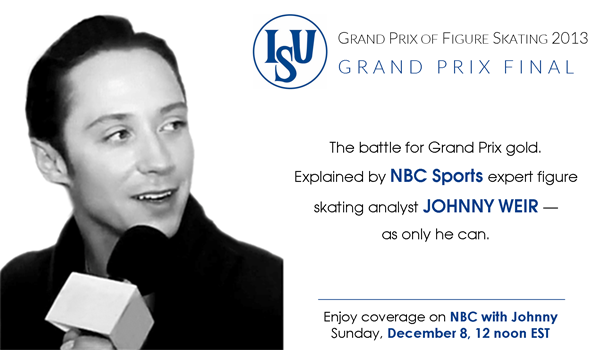 NBC just released a statement in response to Johnny Weir’s comments this morning that he feels “remorse” for insulting protesters during an appearance Monday at Barnard College. 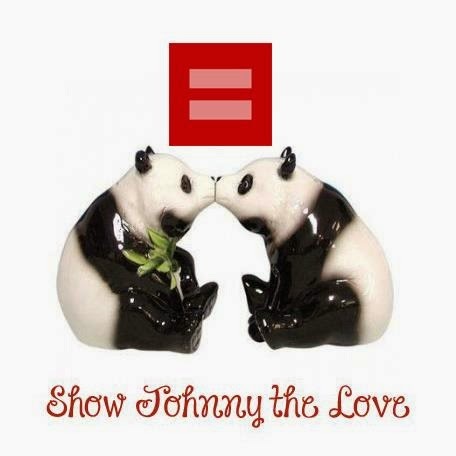 “We’re supportive of Johnny’s apology for his choice of words last night in an emotional setting. As we’ve previously stated, NBC will cover all newsworthy issues as they are relevant to the Games, including the LGBT law,” NBC said. 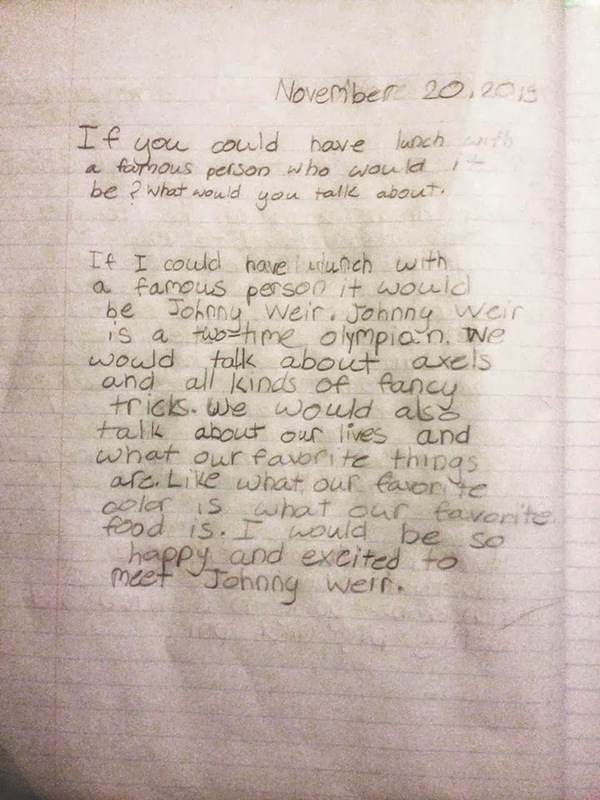 But before we get to the glorious Poker Face pics and vids, I want to share a brief note from a young fan that was posted to Johnny’s Facebook page about two weeks ago. When there’s so much hate being flung about by grownups who really ought to know better—grownups who claim their life’s work is to seek acceptance from the larger community based on tolerance, appreciation of diversity, and love, but who have none of that to offer one of their own, though they’re only too happy to attach themselves to his name at every opportunity, in desperate, vain, self-serving hopes of catching just a tiny coattail ride on the worldwide fame that he has earned simply by being who he is and doing what he does—sometimes a child’s voice is exactly what we need to hear to slice through the idiocy and remind us that love, not hate, is always the answer. If you could have lunch with a famous person who would it be? What would you talk about. 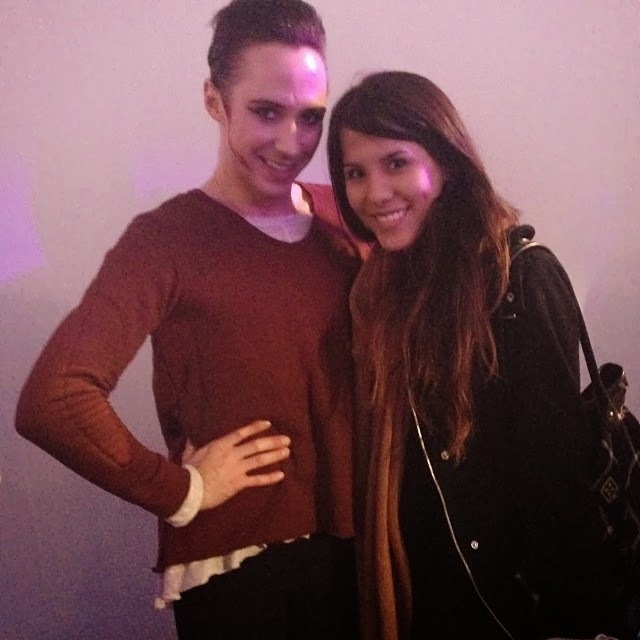 If I could have lunch with a famous person it would be Johnny Weir. 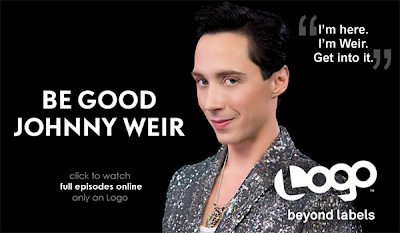 Johnny Weir is a two-time Olympian. We would talk about axels and all kinds of funny tricks. We would also talk about our lives and what our favorite things are like what our favorite color is what our favorite food is. 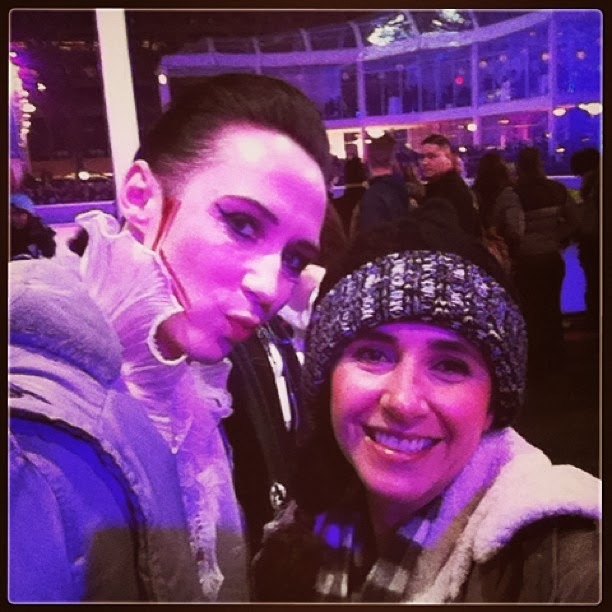 I would be so happy and excited to meet Johnny Weir. 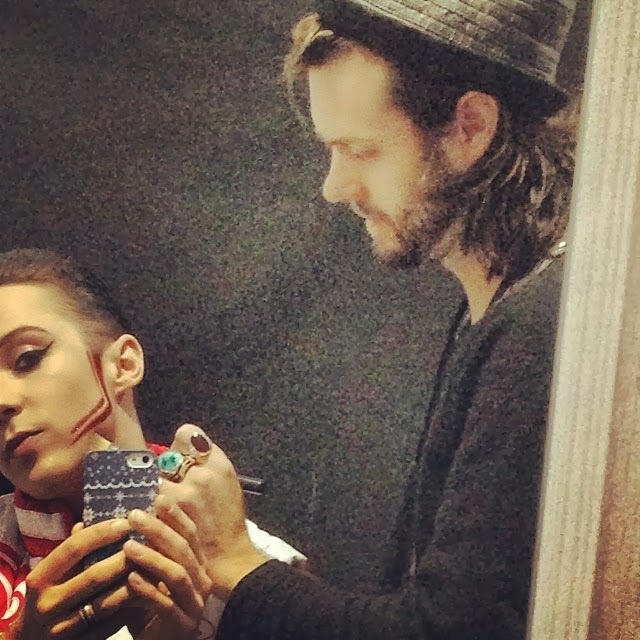 Dearest Johnny, please never, ever forget what a beautiful, kind, gentle, loving, and tremendously positive role model you are for people of all ages, genders, and orientations—but especially for children, who see so clearly with their hearts and forgive so easily the imperfections that make us all human. And I think all the people at Bryant Park last night know exactly how you feel. “Poker Face on. 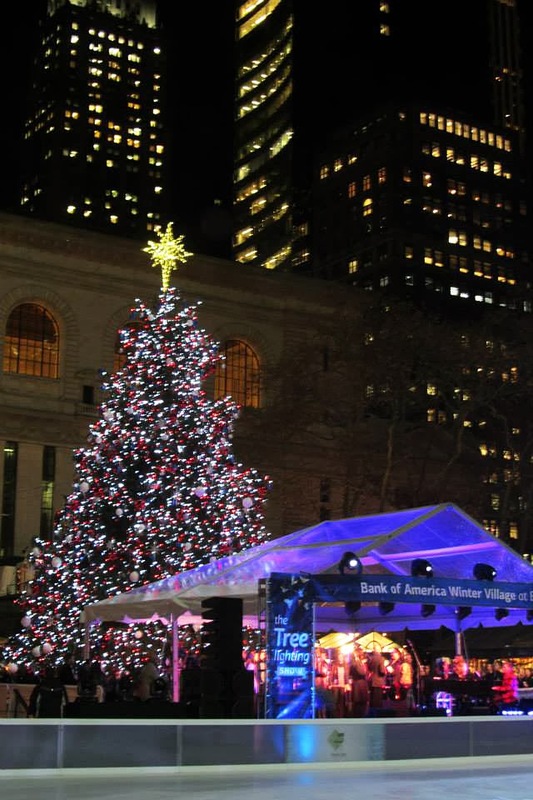 Ready to rock @BryantParkNYC! The tree is lit! Now for some skating! Johnny waiting to be introduced. Photo posted to Instagram by People Magazine! 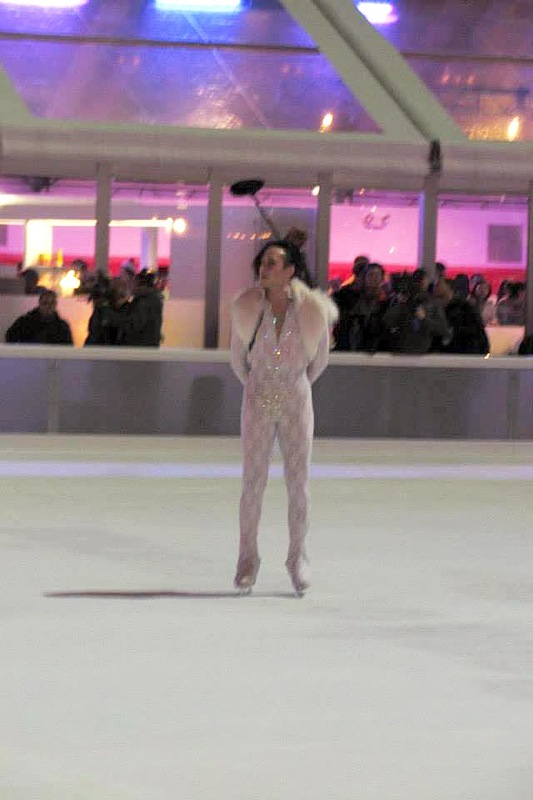 “Johnny Weir draws a crowd! (my Twitter friend and outstanding artist @lipuff! 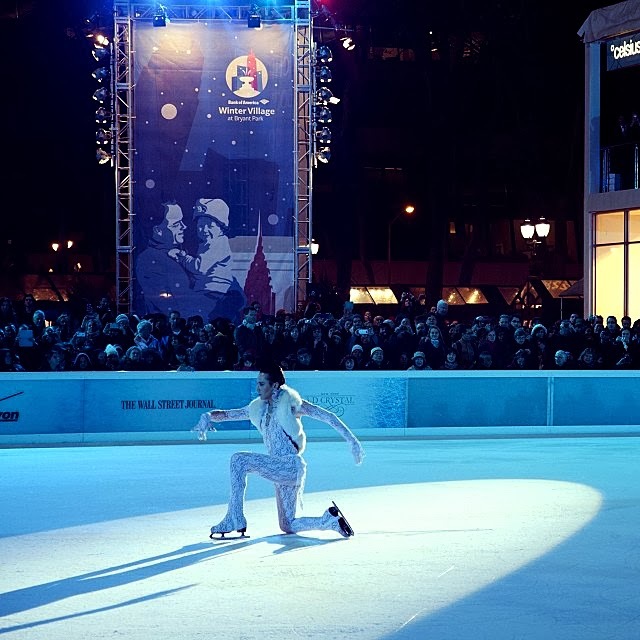 This was her very first time to see Johnny skate live!). Exclusive photo © L. Reina. Aaaaand all too soon it’s over! “One of my biggest dreams!!! Yes, we have multiple videos in HD!! First, from the fabulous Jenn Kittler, without whom this blog often would not even drag itself out of bed in the morning. Jenn was standing next to Jill, our photographer above, so there are some great closeups in this one. Plus Jenn captured the full intro of Johnny at the beginning, which I love. Video link. Bob: All right, what’s next, Helen? Helen: Oh my goodness, a great treat! 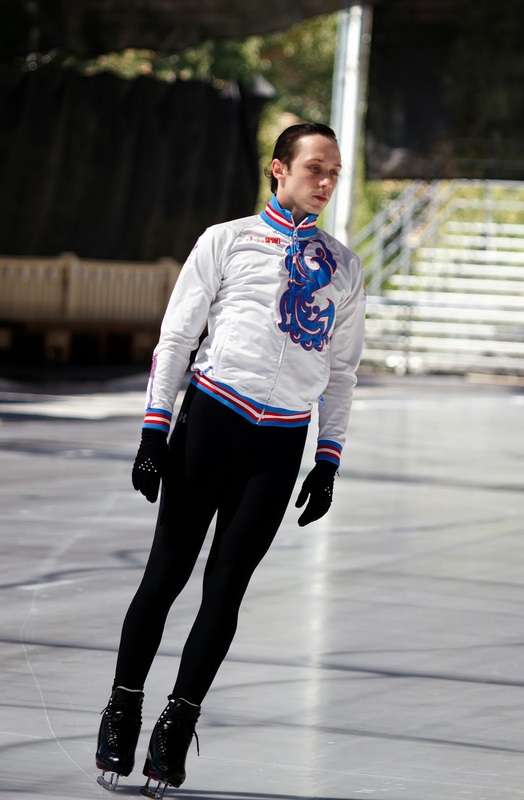 Someone who never fails to electrify an audience, and one of my favorite skaters. 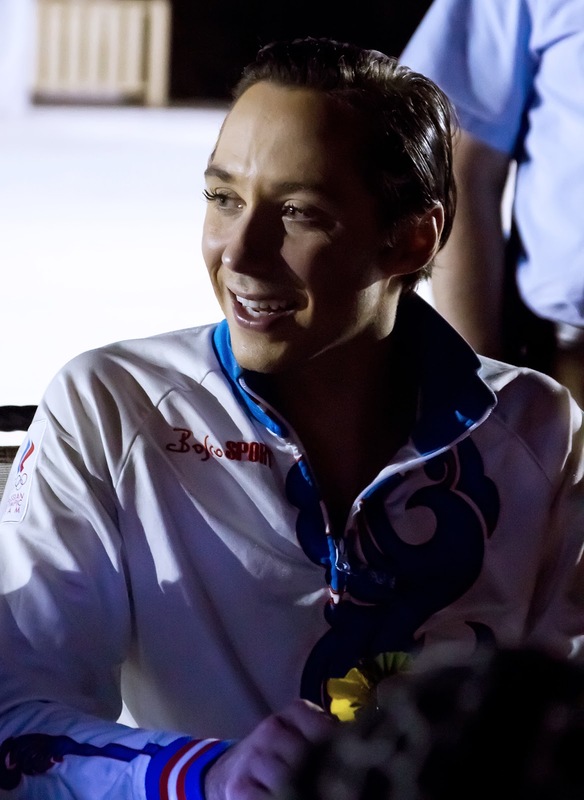 This three-time national champion, World medalist, and two-time Olympian is one of the superstars of figure skating, with fans all over the world that love his elegant yet edgy style, both on and off the ice. 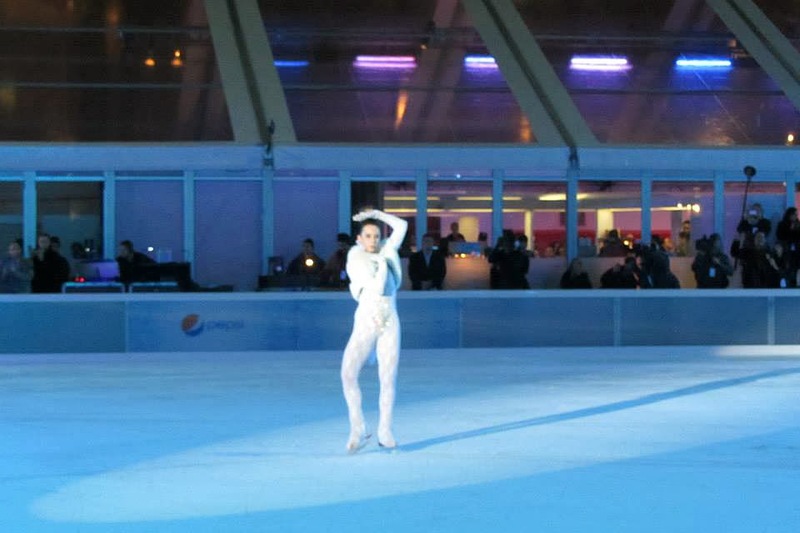 Helen: Performing original choreography to Lady Gaga’s Poker Face, welcome to the ice MR. JOHNNY. WEIR.! from our photographer L. Reina! (see video of Johnny and Lexi in Sun Valley here!). hoping someone will do just that. UPDATE!! One more, and it’s really excellent! Johnny love translates into every language. 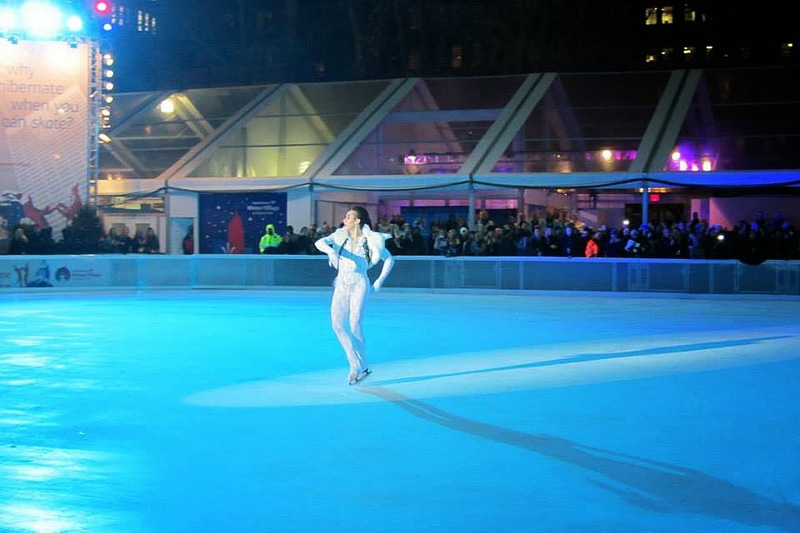 Bonus clip: Johnny rehearsing at Bryant Park! 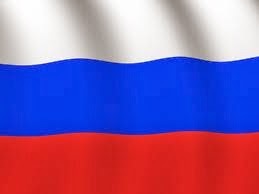 for sharing your pics and vids! with very happy fans in Sun Valley! Yes, big glittery, fanTAStic Thank You's again to Jill Sakowitz, Jenn Kittler, L. Reina, & Anastasia Pryanikova; Lynne/Binky,and last, but never ever least, Johnny G. Weir himself!! Rarely a week goes by that I don't have to remember Johnny's wisdom when he said "It's not a matter of how I fall. It's a matter of how I pick myself back up". So many people right now are doing their darnedest to knock him down, but Johnny keeps picking himself up and keeps moving forward. May he always find his strength to keep fighting for what is right & for what should be right. He has my undying support, gratitude, and love. I also hope Olivia meets Johnny one day! 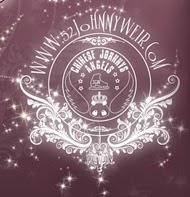 Thank you, Johnny, for adding glitter to the holiday season. Johnny skated like a dancing snowflake and is as unique. By the way, Breyer's has been bought up. and the formula for some of their ice creams have been changing for the worse. Please read the label before you decide to purchase Breyer's again. I was so disappointed when I last read some of their labels that I left without purchasing.